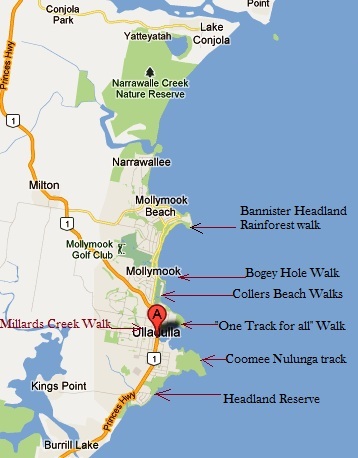 The local Mollymook, Ulladulla, Milton area has some lovely easy walks. Suitable for relaxation, exercise, or to simply just enjoy the stunning local coastline, there is a walk to suit all. 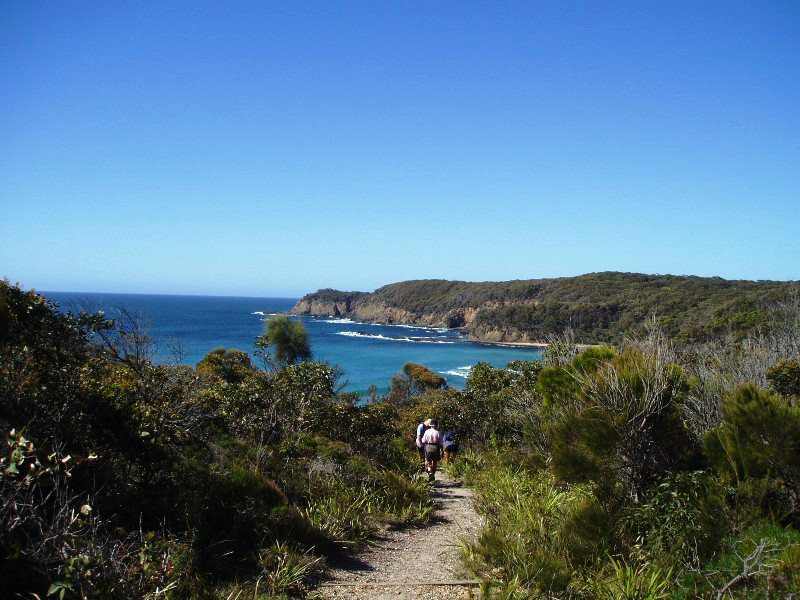 Mollymook Bannister Headland Rainforest Walk. (3ha, 500m) Located at end of Cliff Road, off Mitchell Pde. 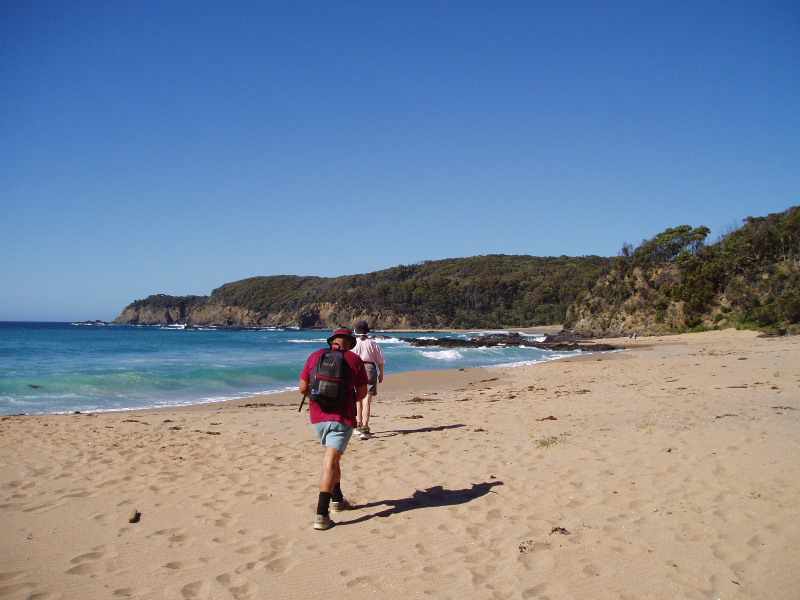 Mollymook Beach (4 km return) Walking is best at low tide, relax listening to the sounds of the ocean. Alternate route along Mitchell Parade walkway. “One Track for All”. (1 km return, 30 to 40 min.) Enter from Burrill St > Nth into Dolphin St. “One Track for All” was designed and constructed by the Budawang Aboriginal Landcare Group, Has 4 viewing platforms, carvings, signs and sculptures that tell the history of the Ulladulla area from an Aboriginal perspective. Coomee Nulunga Track. (2.5 km track, 1 hour) Tracks on both, north and south side of Lighthouse at end of Deering Street. Headland Reserve (1.5 km track, 30 min) Turn off Princes Hwy (before Ex Servo’s club) & travel to far end of Dowling Street. 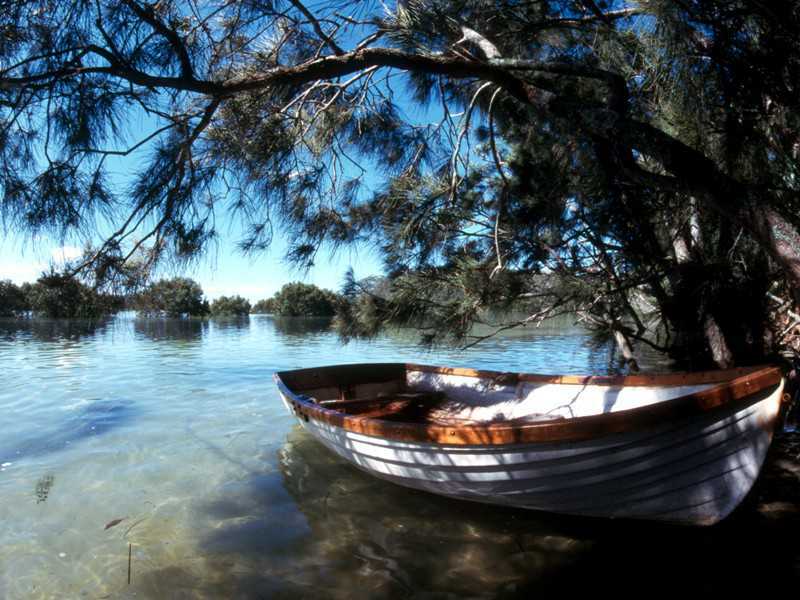 Walk covers 14 hectares of scenic flora and fauna. Rare plants & an estimated 90 bird species. Millards Creek Walk. (1.8 km track, 20 to 30 min.) Very pretty walk, reasonably flat, can begin at Ulladulla Bowling club & follow Millards creek until you reach Village Drive. Can then walk across the Hwy and down Boag Street to the Mollymook Golf Club. “Ghosts of Milton” – Historical walk of Milton. Self guided walk with commentary courtesy of Cathy Dunn. (Copy of “Self Guided Walk” available in Waterfront’s reception) Start at the Milton Cultural Centre, allow 1 hour.